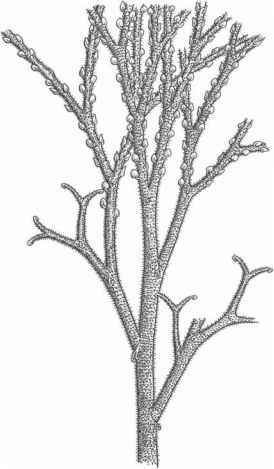 The geologic history of the sphenophytes (Sphenophyta) closely parallels the pattern of evolution and diversification exhibited by the lycophytes. Sphenophytes were first encountered in the Devonian, but attained their maximum diversity during the Carboniferous. 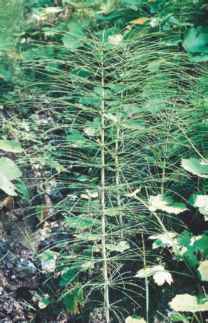 From the Carboniferous to the recent, the group has experienced a gradual decline, until today they are represented by only ~15 species in a single genus, Equisetum (horsetails) (FIG. 10.1). In some treatments, the genus Equisetum is subdivided into two subgenera, subg. Equisetum and subg. Hippochaete, based on stomatal position and stem branching (Hauke, 1963; Des Marais et al., 2005). 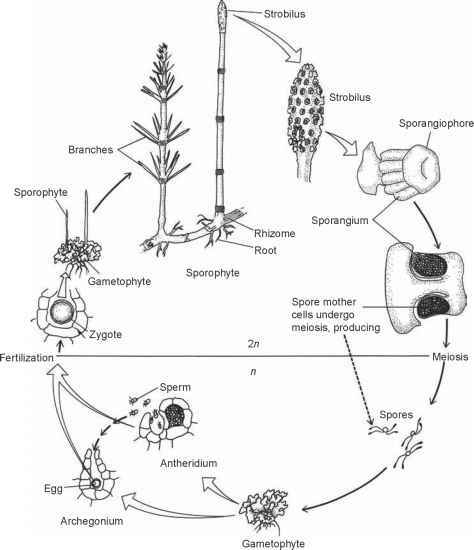 Although sphenophytes, along with ferns, are traditionally regarded as paraphyletic successive grades of increasing complexity between bryophytes and seed plants (Rothwell, 1999), some phylogenetic analyses (Pryer et al., 2001; Wikström and Pryer, 2005) suggest that sphenophytes and ferns are a monophyletic group (see also Nishiyama, 2007). One group that traditionally has been included in the Sphenophyta, or in their direct ancestry, is the Hyeniales (Krausel and Weyland, 1926). Several recent studies suggest, however, that the Hyeniales are more similar to ferns and fernlike plants; consequently, a discussion of several of these (e.g., Calamophyton, Hyenia) can be found in Chapter 11.